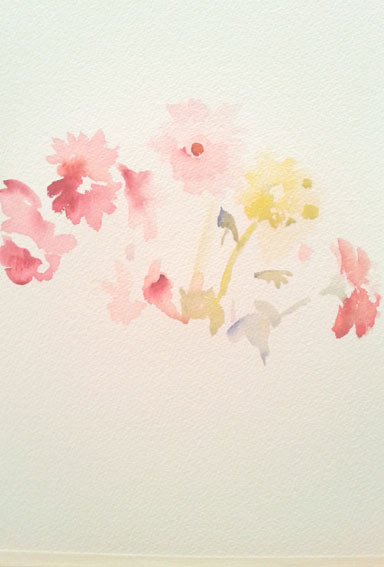 Starting off lightly, putting the shapes and colors of the flowers where I want to put them in the picture plane. 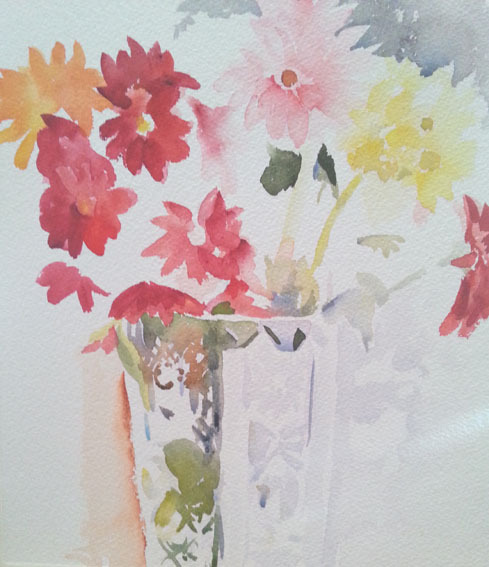 Starting with the vase, trying to work on the whole picture plane and not focus too much in any area. When all the areas are covered on the paper. I go back in and add more detail, but not too much to keep it loose. All the whites have been respected. 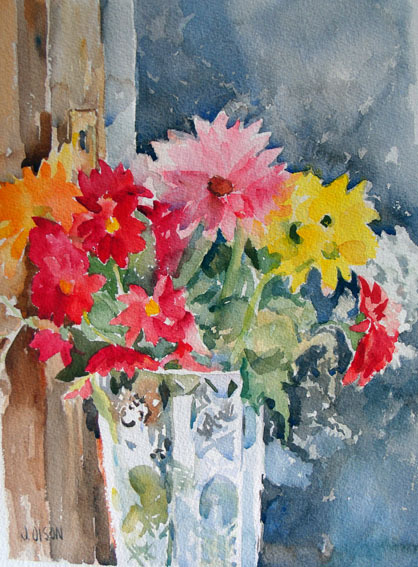 This entry was posted in Fine Art, The Watercolor Art Making Process and tagged painting tips, watercolor. Bookmark the permalink. Love it! 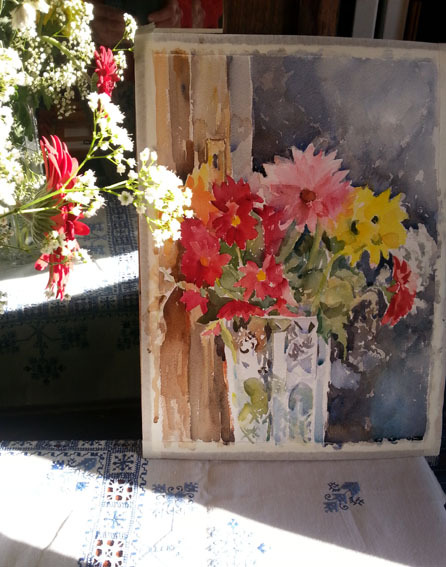 And I love the final shot, with the flowers you were drawing peeping out into the frame. Good use of light … very interesting, lovely colors and composition.